We’ve pulled together a list of the most-read news articles on the Cycling Weekly website for 2018. It’s a wide mixture, featuring an argument with a police officer, dangerous driving, some Strava stats and an old friendship. From Chris Froome’s up and down year to Mark Cavendish’s misfortune, here are the most-read stories from the last 12 months. 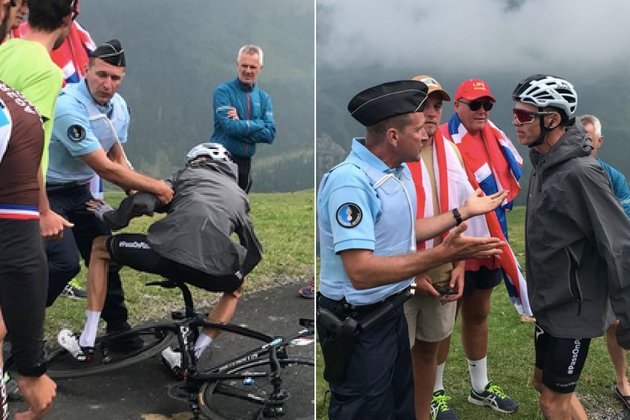 In a bittersweet year for Chris Froome, this bizarre altercation on the slopes of Col du Portet is likely to be a low point. Having watched his chances of taking a fifth Tour de France win disappear over three weeks, stage 17 saw the Team Sky rider pulled from his bike by an overzealous police officer. The officer appeared to mistake Froome for a member of the public as he descended to the team buses from the summit finish. Pictures and video posted on social media show an angry Froome clambering to his feet and remonstrating with the police officer, who doesn’t seem to be entirely apologetic for his actions. Froome entered 2018 with a blistering (in more ways than one) training regime, racking up 4,000km in January alone. At the end of the month, the four-time Tour winner set out on a truly superhuman day in the saddle. 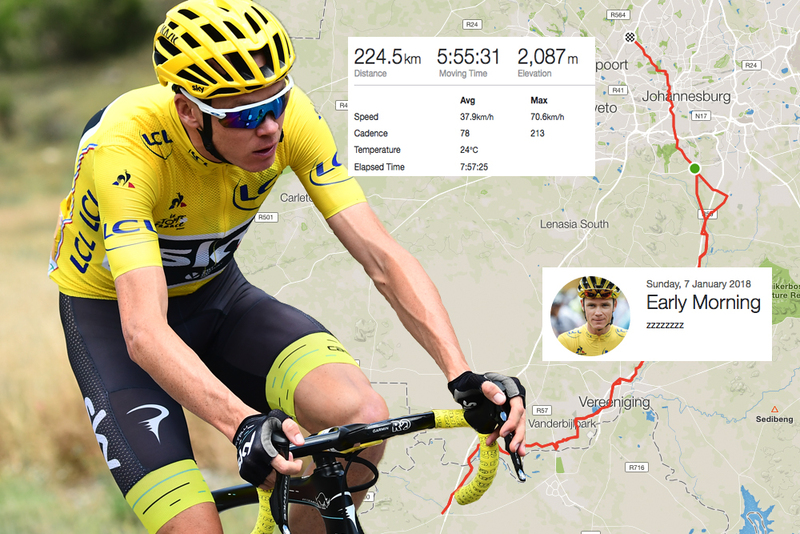 Leaving his house just north of Johannesburg at 6.30am, Froome wouldn’t return for another seven hours as he ticked off an astonishing 271.65km with only a couple of breaks during the ride. What makes this ride even more amazing is Froome’s average speed. Now, we’re going to assume that most of this ride was motor-paced (and indeed the activity was flagged on Strava), but the Team Sky rider still managed an average speed of 44.8kmh, including a maximum speed of 89.3kmh on a fast, straight descent just a few kilometres from the end of his ride. Froome dominated the headlines in the early part of the year, with the salbutamol case hanging over his head until the eve of the Tour de France. One person who had kept out of the debate was Britain’s first Tour winner, Sir Bradley Wiggins. 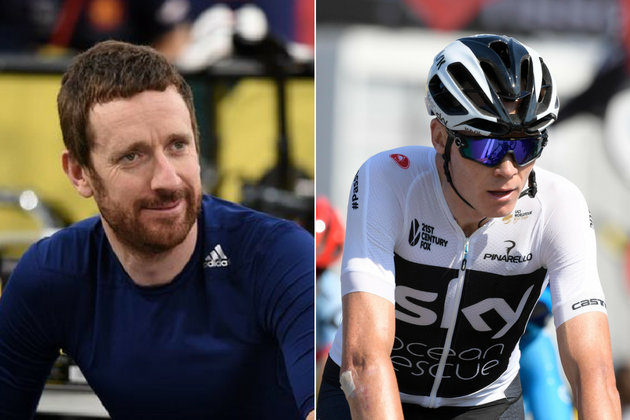 But shortly after the case was resolved Wiggins, no stranger to controversy himself, delved into the topic on his podcast The Bradley Wiggins Show. Asked whether he thought WADA’s salbutamol regulations were fit for purpose, Wiggins said he did not. 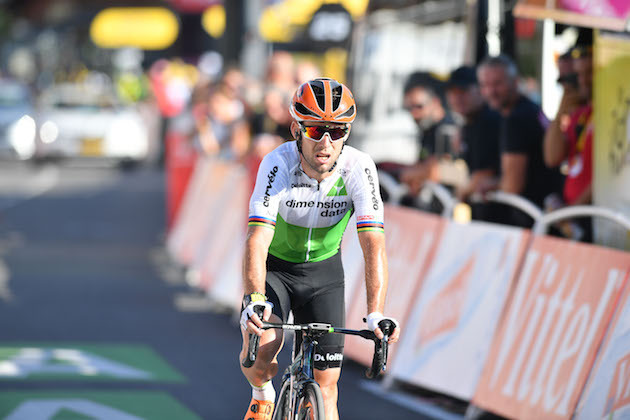 The fortunes of Geraint Thomas (Team Sky) and Mark Cavendish contrasted starkly in 2018, with Thomas taking a ground-breaking Tour de France victory while Cavendish struggled with illness throughout the year. But the British Cycling Academy graduates have remained firm friends throughout their careers, with no better example than Thomas helping pace Cavendish on stage one of the 2018 Tour. Cavendish (Dimensions Data), in an emotive column in the Telegraph paying tribute to his friend Thomas, said that the act exemplified “just what a good mate he is, and how selfless and loyal” he is. Cavendish described how towards the end of stage one from Noirmoutier-en-l’Île to Fontenay-le-Comte he found himself in some trouble and falling out of contention for the stage, but was immediately offered a helping hand from his old friend. 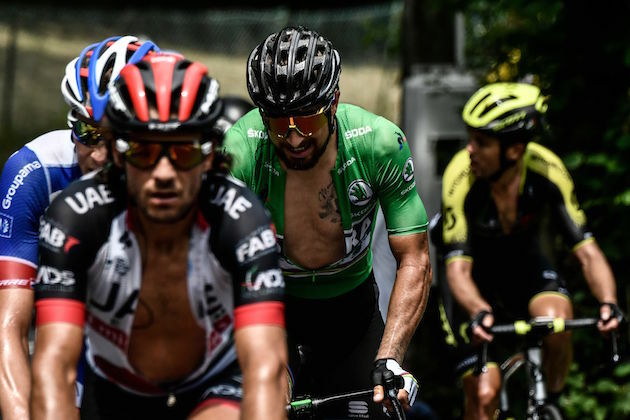 Peter Sagan has no doubt has some horrific days on the bike – you don’t win two Monuments with handling some adverse conditions. But one day of suffering stood out for the Slovakian at this year’s Tour de France. Sagan said that he endured the worst day of his life on a bike to survive the mountainous stage 19 over the Col du Tourmalet and Col d’Aubisque. The three-time world champion survived to save his green jersey two days after crashing off the side of the road on stage 17. Cycling is serious business…most of the time. But Astana boss Alexandre Vinokourov decided to add a light touch earlier this year, donning a fake moustache and inflated stomach to prank his riders. The former pro posed as an old man before proceeding to drop his riders, leaving them stunned. Vino’s disguise was completed with a large orange jacket and some sunglasses, and he didn’t hold back in nodding his head as he pedalled. Of course, the team tried to keep up with him on the climb and Vinokourov revealed his true identity as they reached the top of the ascent. Every now and then there’s cycling advances in a way that causes people to stop and take notice. This year CeramicSpeed unveiled their new Driven drivechain system, designed with a carbon fibre drive shaft instead of the traditional chain. CeramicSpeed claims that it’s the world’s most efficient drivetrain, with 49% less friction than the best derailleur-based systems and 99% efficiency. It says that there are 21 CeramicSpeed bearings used to reduce friction in the Driven system. They are arranged around the edge of the driveshaft at its two ends and mesh with teeth on the chainring and the cassette which are oriented transversely rather than in line with the chainset and cassette. 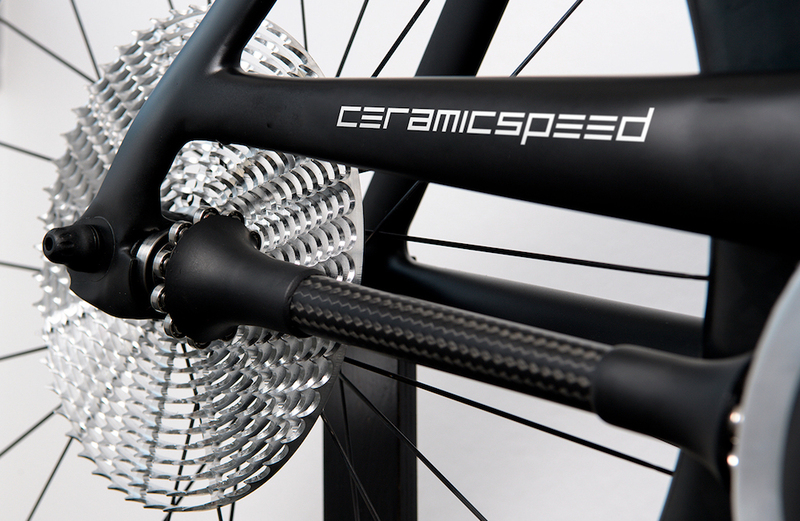 CeramicSpeed says that its bearings have very low rolling friction along with high durability. Moving the 13-speed rear cog across the cassette allows Driven to change gear ratios. 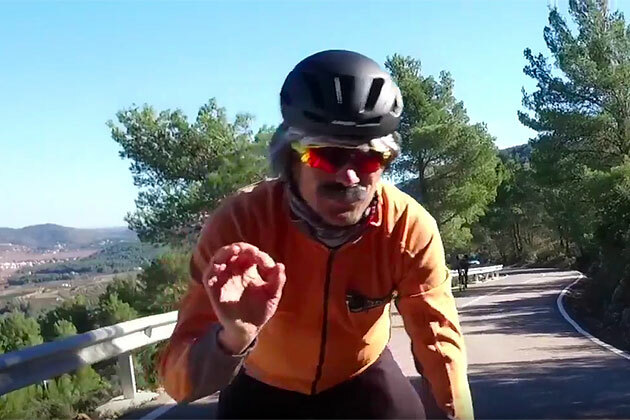 There are plenty of big name riders on Strava willing to give an insight into the training of a professional cyclist, but there was one conspicuous absence from the athlete’s social media platform. 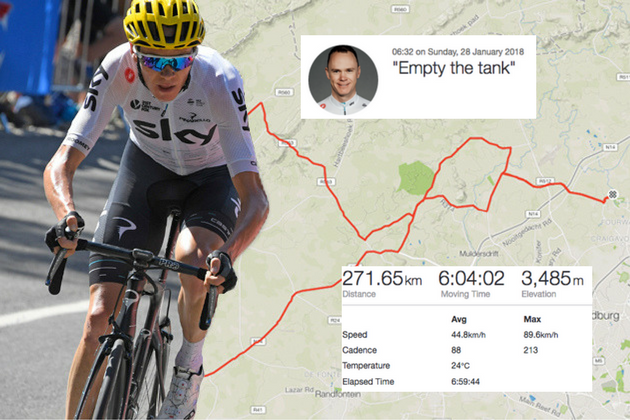 But earlier this year, Chris Froome began posting rides Strava, letting us see exactly what goes into winning four Tours de France. As you would expect from a man targeting both the Giro d’Italia and the Tour de France in 2018, these were some pretty monstrous base miles, with Froome kicking off the year with a 32-hour week in which he rode more than 1,000km – more than most of us will manage in a month. The Team Sky rider started as he meant to go on, knocking off a solid 157km interval session on New Year’s Day from his base to the north of Johannesburg, South Africa. This year’s Tour de France was brutal for all riders, but it really took its toll on the biggest sprinters in the world. Stage 11 marked a turning point in the race, as some of the fastest men in the world were left behind and eliminated after failing to make the time cut. Amongst those fighting for survival were Mark Cavendish and Marcel Kittel, who were both kicked off the race. Cavendish was dropped on the very first climb of the day, the Montée de Bisanne, and was forced to climb the Col du Pré alone nearly half an hour behind the front of the race after team-mates Mark Renshaw and Jay Robert Thomson left him in order to try and make the time cut themselves. Anyone who rides on the rode will be familiar with the danger posed by oblivious drivers. But the pros also have their share of near-misses while out training. 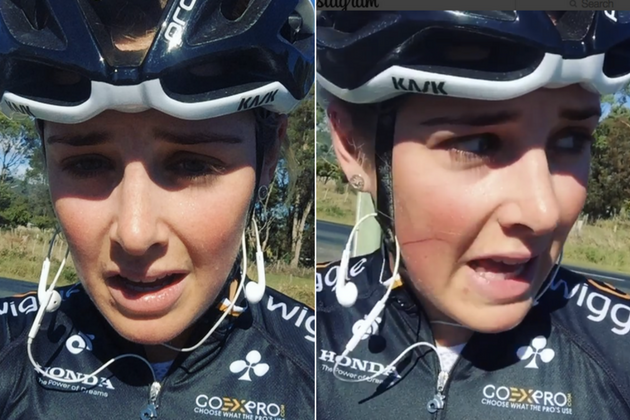 Wiggle-High5 rider Macey Stewart posted an emotional plea to “impatient drivers” after she suffered a close pass while out on a training ride on Monday. In the video, Stewart describes how the repeated close passes that she suffers while training is not only stopping her enjoying her riding, but making her actively frightened about going out and doing her job.